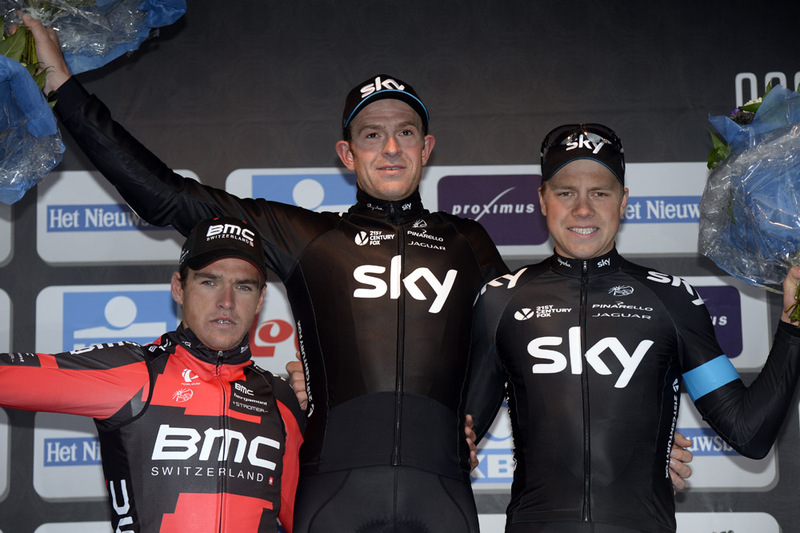 Ian Stannard (Sky) out-sprinted Greg Van Avermart (BMC) to become the first ever British winner of Omloop Het Nieuwsblad on Saturday. The result is also the most impressive in Stannard’s career to date, and marks him out as a serious contender for the rest of the spring classics. It had looked as the 26-year old had blown his chance of winning when he entered the finishing straight alongside the supposedly superior sprinter Van Avermart, but surprised everyone by opening his sprint early and holding off the Belgian to win by half a bike-length. Stannard had instigated the race-winning move with around 15 kilometres to go, counter-attacking with Van Avermart when the previous leaders Niki Terpstra (Omega Pharma-QuickStep) and Edvald Boasson Hagen (Sky) – who had earlier crossed the summit of the final Molenberg climb together – were caught. This pair later launched another attack with Sep Vanmarcke (Belkin) but, with Boasson Hagen wisely letting the others do the work with his Sky team-mate up the road, were unable to bridge the gap to the leading duo. The Norwegian then won the sprint for third, with Vanmarcke finishing fourth and a frustrated Terpstra fifth. Earlier, Vanmarcke had animated the race with an explosive attack on the Taainberg, a climb that Tom Boonen usually leads the peloton over. But Boonen was nowhere to be seen today, and instead it was the seemingly inexhaustible Vanmarcke who punctuated the race with attack after attack. It’s too early to say whether this marks a changing of the guard in Belgian cycling, but Vanmarcke’s aggressive racing certainly seems like a statement of intent. Conditions were cold with some light rainfall that cause some crashes in the run-in to the decisive Taainberg. 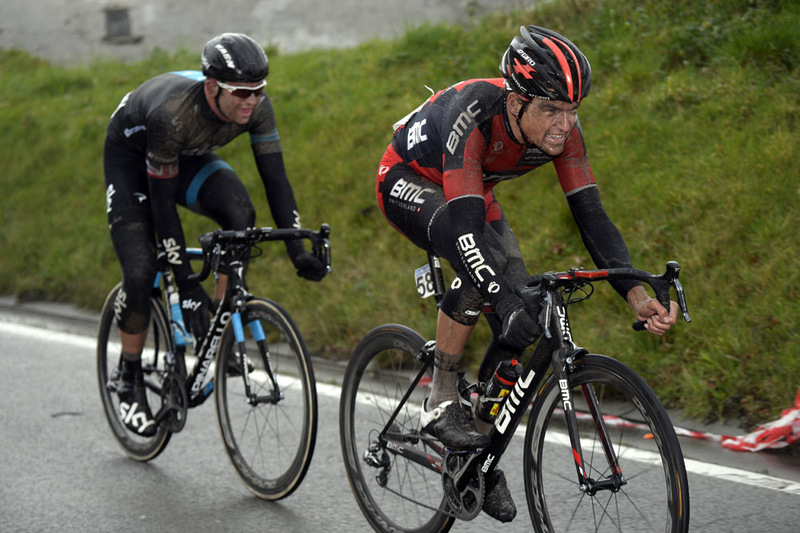 However the biggest name retiree, Thor Hushovd (BMC), fell before the rain came on an innocuous looking corner. 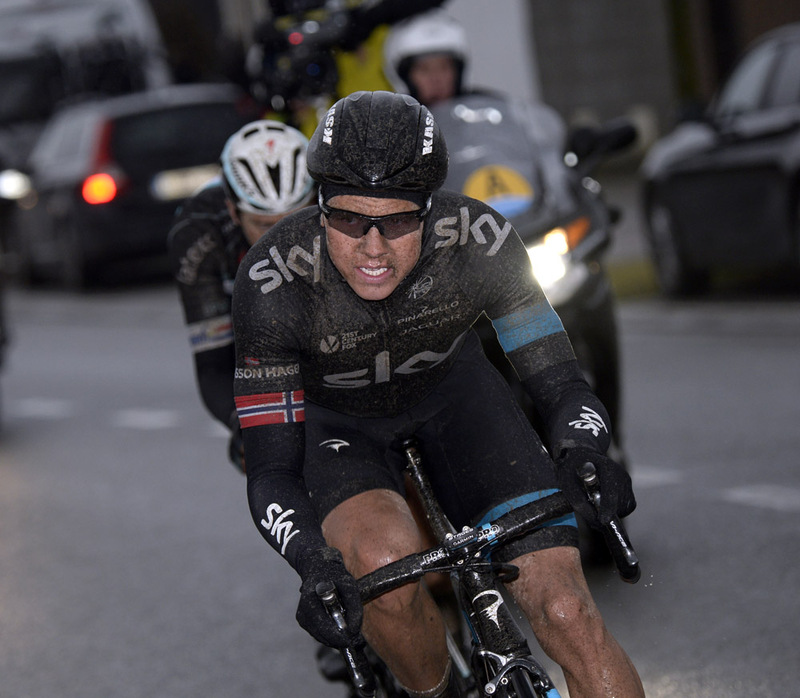 British rider Luke Rowe, Sky team-mate of Stannard and Boasson Hagen, finished just outside the top 10, in 11th spot.